Independence Day in Ukraine is celebrated on August 24. On that day in 1991, Ukraine officially declared its independence from the Soviet Union. Before the Russian Revolution of 1917, the territory of present-day Ukraine was divided between the Russian Empire and Austro-Hungary. Following the collapse of both empires, Ukrainians began to struggle for their independence. During 1917-1920, there were several separate Ukrainian states, but none of them survived long. By 1921, most of Ukraine was incorporated into the Soviet Union as the Ukrainian Soviet Socialist Republic. For the next seventy years, Ukraine was part of the USSR. This began to change in 1990, amidst Perestroika. In July 1990, the recently elected parliament of Ukrainian SSR adopted the Declaration of State Sovereignty of Ukraine. The complete independence of Ukraine was proclaimed on August 24, 1991, following the failed August Coup in Moscow. 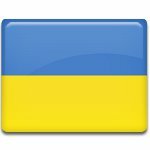 Independence Day is the national day of Ukraine. It is widely celebrated throughout the country. The holiday is marked with military parades, open-air performances, street fairs, sporting competitions, firework displays and other festive events and activities. The biggest celebration is held in the capital city of Kiev.